Rutherglen, Scotland, United Kingdom. 19 November, 2017. Scottish Labour Party MSPs, MPs and activists celebrate with their new Leader, Richard Leonard at Fernhill Community Centre in Rutherglen. 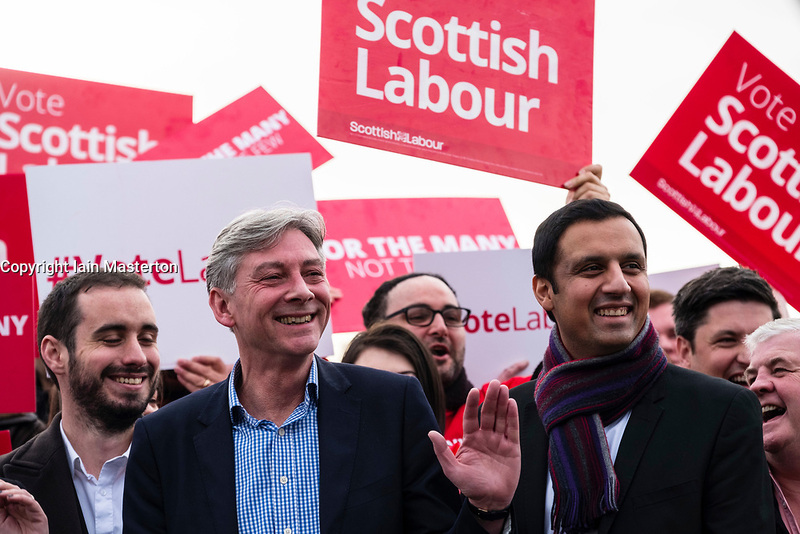 Richard Leonard beat fellow MSP Anas Anwar (right) for the Leadership.